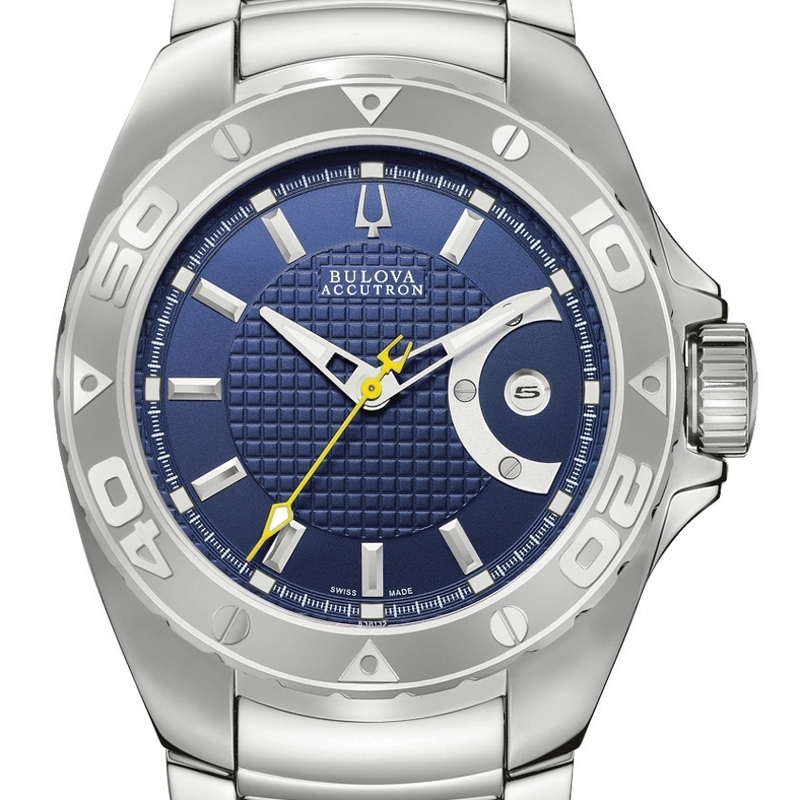 BULOVA ACCUTRON is introducing its new Curaçao Collection this summer, featuring a blend of strength and sportiness marrying Swiss made quality with a taste for challenges. Able to withstand considerable pressure of up to 30 bar, the case conveys a sophisticated aesthetic. While perfectly suited to the aquatic milieu, the Curaçao collection exercises an undeniable visual appeal. 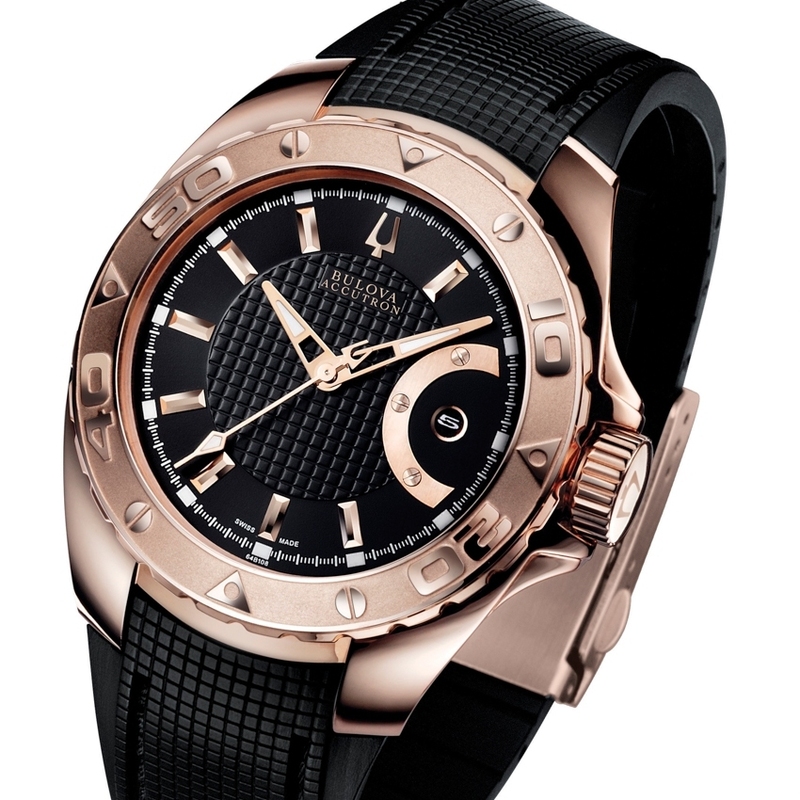 Its steel case comes in black PVD or rose gold treated versions, framing a dial with faceted hour-markers and openworked hands. 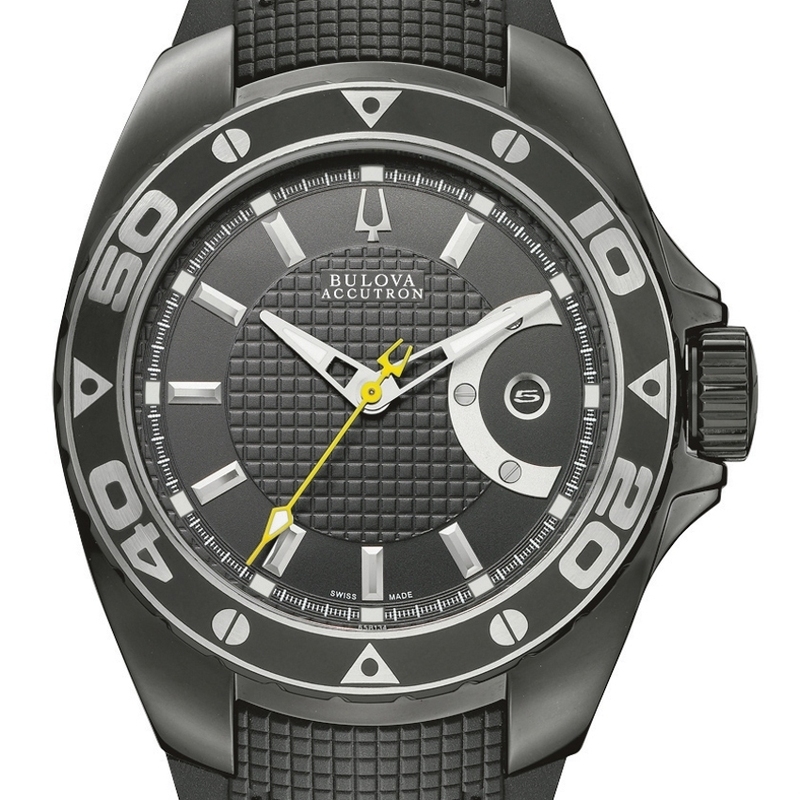 These daring timepieces will delight sports enthusiasts and underwater adventurers. Stainless steel bracelet or rubber strap with safety folding clasp.